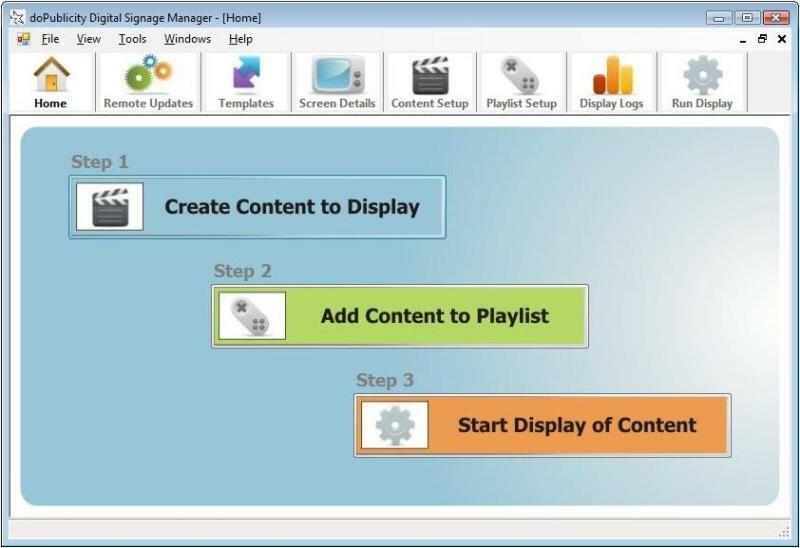 doPublicity Digital Signage software is a comprehensive and easy to use that works on any Windows (2000, XP, Vista, 7) PC connected to a TV or Monitor for display of Templates, Images, Video, Web Pages and Scrolling Banner. The built-in Templates allow users to create Content using images and descriptive text. Setup Templates, Custom Content, LIVE Weather News and Web Page URLs to display on 1 or many screens. The Content is created once and is distributed to all Screen Locations in real-time. The software is pre-loaded with 50 ready to use Templates (over 450 Templates using Remote Service) that may be used to create an assortment of customized displays depending on your preferences. Pictures can be uploaded and they will be automatically inserted into the Templates and displayed. Product description and other information can also be entered, which will also be inserted and displayed. Dayparting is the practice of dividing the day into several parts, during each of which a different type of Content suitable for that time is aired. Content is most often geared toward a particular demographic, and what the target audience typically engages in at that time. Dayparting is setup through the Playlist Setup process. Recent Changes: Updated version with Flicker Free and Fade In - Fade Out transitions.